Bob entered the Air Force after graduating from Virginia Tech in 1955 with a degree in civil engineering. During his 28 year Air Force career, he had tours at Albrook AFB, Panama Canal Zone; Travis AFB, CA; Cape Newhaven, AK; Little Rock AFB, AR; Kadena AB, Okinawa; Fuchu AFB, Japan; Osan AB, Korea; Pentagon; Luke AFB, AZ; Hickam AFB, HI; and, retired at Langley AFB, VA in 1983. He was awarded the Meritorious Service Metal with four oak leaf clusters. Bob enjoyed timeshare weeks with his son, Bill and his family and taking cruises with other family members. He was a true "Hokie" and enjoyed sports on TV. 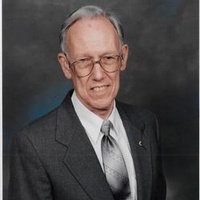 He was active in Poquoson Lions Club projects and fund drives until his health declined, was the recipient of the Lions Club Melvin Jones Award; and, a member of American Legion Post 273 and Christ the King Episcopal Church. Bob was preceded in death by his parents, Arthur and Julia Ferrell. He is survived by his wife, Alice Marie Fitzhugh Ferrell; sons, William K. Ferrell (Annmarie) and Larry D. Ferrell (Hope); grandchildren, Shawn Ferrell, Alethea Ferrell, Tiffany Moon (Wesley); and great-grandchildren, Aja Medina and Avery Moon. A Memorial Service will be held Wednesday, October 11, 11:00 AM, at Christ the King Episcopal Church, Tabb, led by Rev. Richard Budd. Claytor Rollins Funeral Home, Poquoson, is in charge. Online condolences to claytorrollins.com. In lieu of flowers, contributions may be made to Christ the King Episcopal Church, 4109 Big Bethel Rd., Tabb, VA 23693 and/or Poquoson Lions Club, 10 Willis Court, Poquoson, VA 23662. The family thanks Dominion Village of Poquoson and Hospice Community Care for the special love and care they gave Bob.